operates on a purely mineral basis and is currently the only system of its kind. With AirClean, we are expanding our portfolio of products for air-conditioning maintenance. 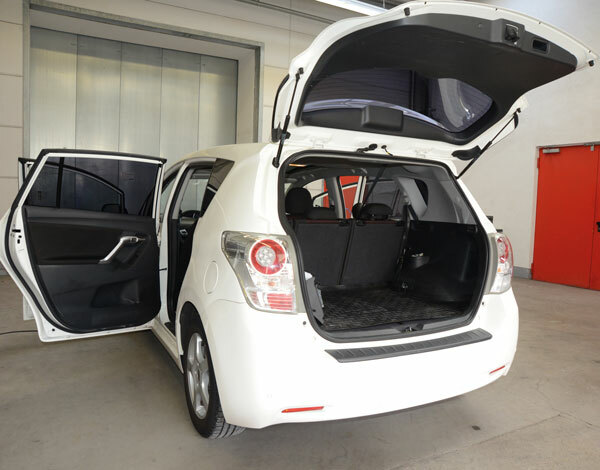 In addition to leak location, AirClean allows us to offer the option of disinfecting the vehicle and its air-conditioning system without a great deal of effort and without harming the environment. AirClean is suitable for all vehicle types, whether passenger cars, vans, HGVs, motor homes, and so on. 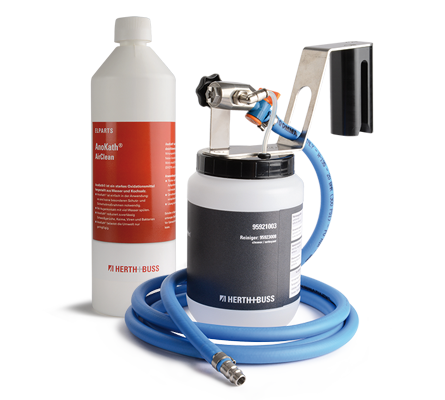 The AirClean spray gun is available with a fill quantity of up to either 1 litre or 5 litres. AnoKath is a powerful oxidising agent made from water and sodium chloride. 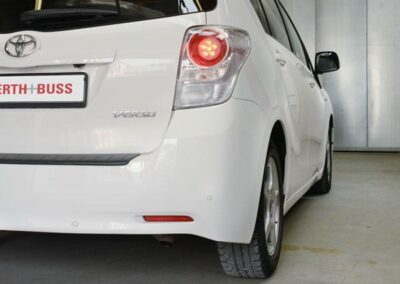 The agent is used to disinfect vehicle air-conditioning systems or the vehicles themselves with the help of the special AirClean cold nebulisers. It reliably reduces germs, viruses and bacteria. The disinfection process using AnoKath is based on minerals. How long can the disinfectant be kept for? When unopened and when adhering to the prescribed storage conditions, the product can be kept for a maximum of 12 months. Refer to the information on the label. When opened and when adhering to the prescribed storage conditions, the product can be kept for a maximum of 6 months. Can any type of compressor be used? 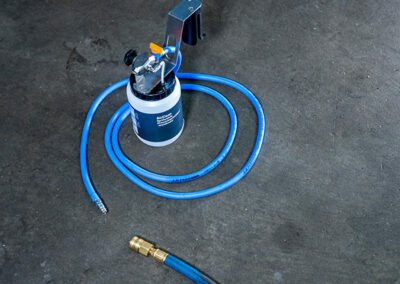 Clean compressed air with no rust residues, condensate or oil content. 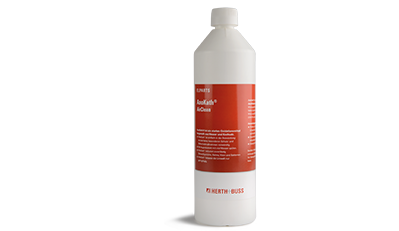 Even the smallest quantities of oil, rust or other impurities may impair the effectiveness of the disinfectant. The compressor must be adequately able to operate continuously. 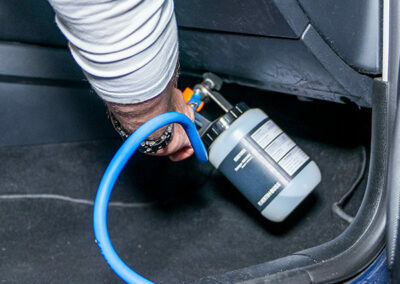 Where should vehicle disinfection be carried out? Disinfection should be carried out in well-ventilated internal areas or outside (not in the rain) at an ambient temperature of 20-25 °C. Direct sunlight and an internal vehicle temperature of over 25 °C are to be avoided. 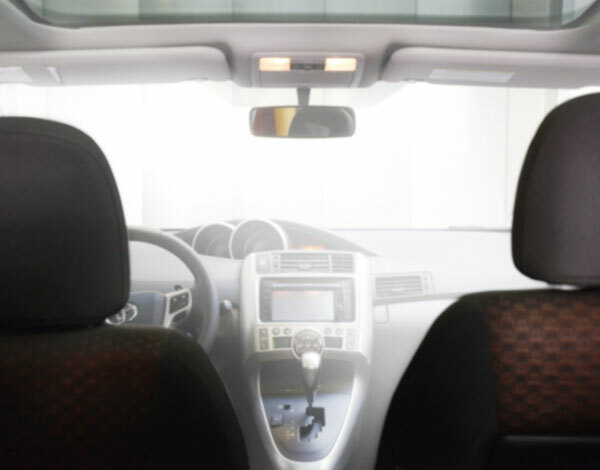 What must I pay attention to when disinfecting the air conditioning or the vehicle? 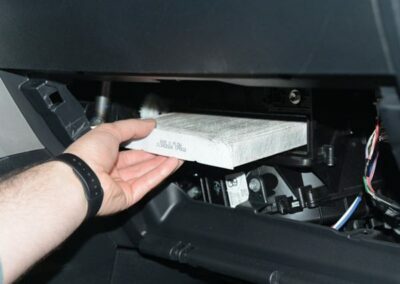 The vehicle’s passenger-compartment air filter should be removed prior to disinfection and be replaced by a new one after disinfection has been carried out. The mist should also be fed directly into the air intake ducts in order to ensure adequate distribution of the medium throughout the air-conditioning system. The vehicle manufacturer’s instructions must be observed. 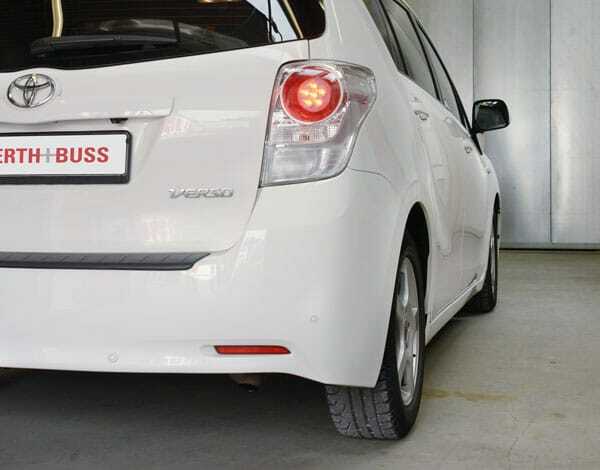 In general, the vehicle must always be thoroughly cleaned before disinfection. 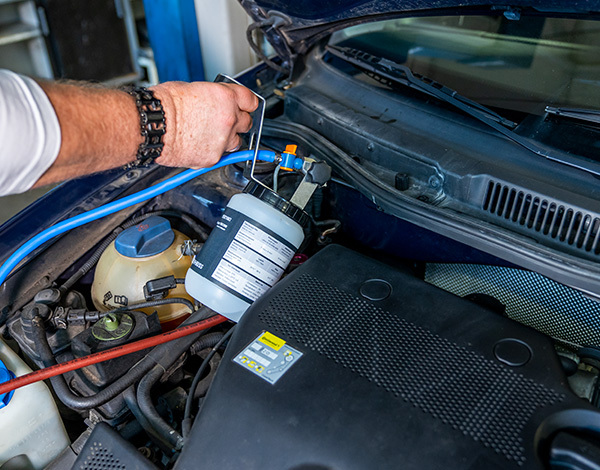 How much air-conditioning cleaner is required for each application and each type of vehicle? Position the vehicle in a cool, well-ventilated location. It is important to always keep an eye on the temperature range during use! 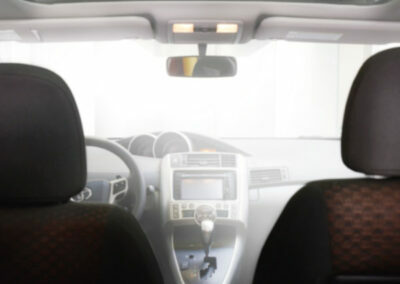 If it is too hot, for example, an insufficient quantity of mist will be able to form in the vehicle. Remove the air filter, pollen filter, etc., and dispose of them. Tip: the location of the filters can be found through the RMI (e.g. InData or InData Pro). 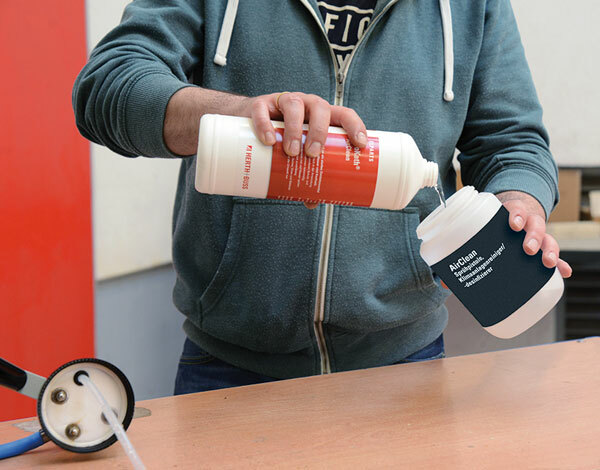 Fill your spray gun with the disinfectant. The required quantity varies depending on the vehicle size and the strength of the odour. 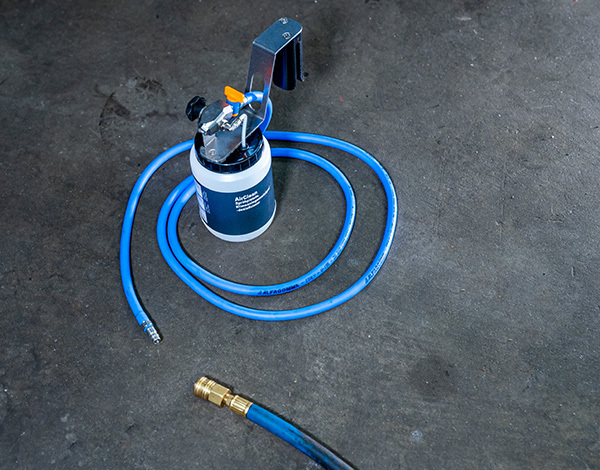 Connect the device to an oil-free compressor. The compressor must feature adequate continuous operating ability with an effective supply quantity of >100 l/m and a set pressure of 3-6 bar. 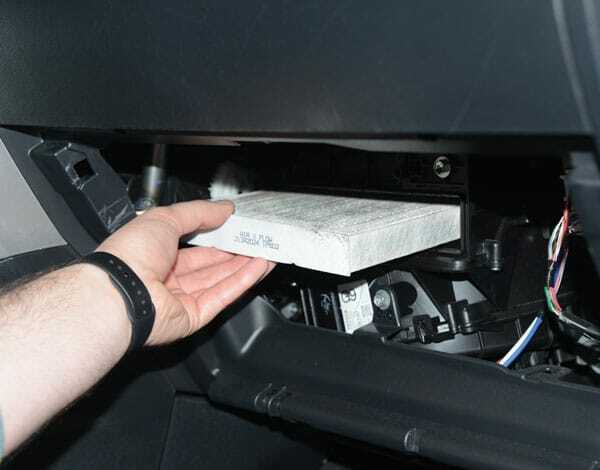 Open the bonnet and remove the passenger-compartment air filter. Clean and disinfect the pollen-filter box. 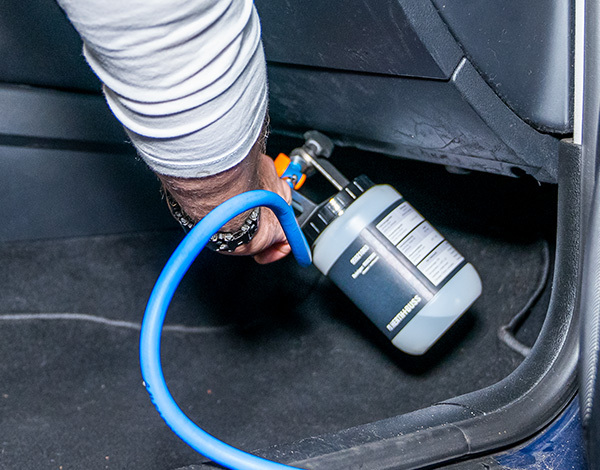 Set the ventilation system to level 1 and spray the disinfectant into the interior of the vehicle through the air intake opening of the HVAC system. Feed the agent in. Leave to take effect for approximately 1 minute. Next comes the disinfection of the interior, the air-conditioning system’s air intake, the dashboard and the side panels. Set the fan to the medium setting at approx. 20 °C, open all air nozzles and set the ventilation to circulation mode. 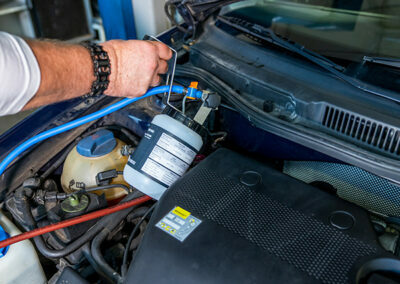 Set up a power supply for the vehicle electrical system or leave the engine running. 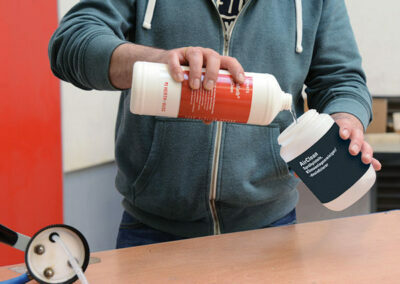 Open the compressed air supply and let the disinfectant flow in. 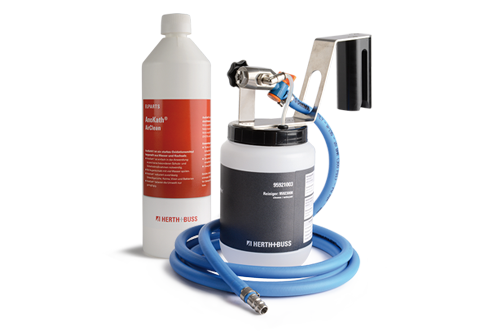 As soon as a visible mist has formed, switch the device off and remove the spray gun. Close the door and let the ventilation run for a further 2-5 minutes. 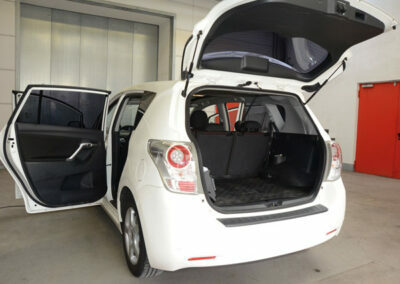 Next, open all doors and the boot in order to briefly air out the vehicle. Now you can install new filters in the vehicle. In just 15 minutes, you have successfully disinfected the air conditioning and the vehicle itself! For more info visit our Blog!